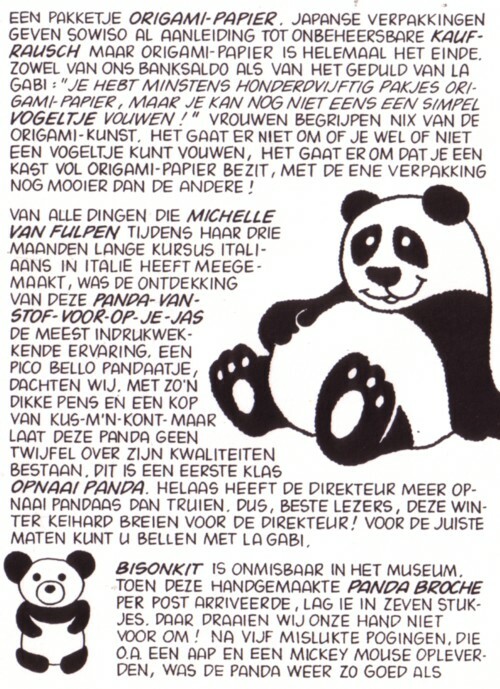 Long time ago, in the eighties, my love and I did a Panda fanzine. 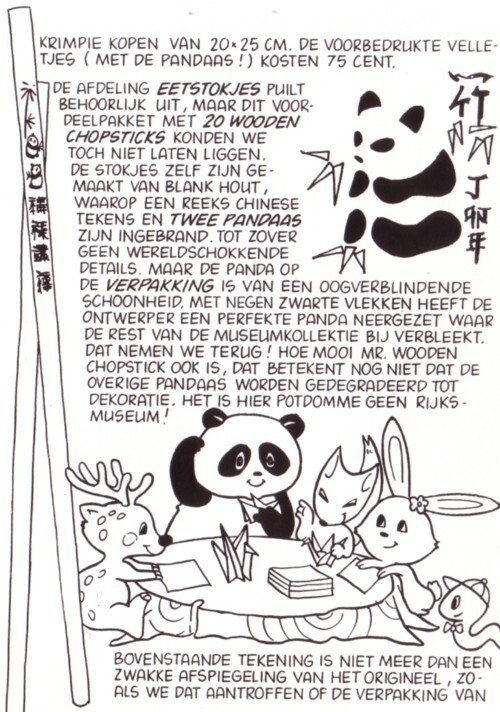 I used to draw myself as some sort of panda mutant back then, and before I knew it our house was filled with all kind of panda’s. 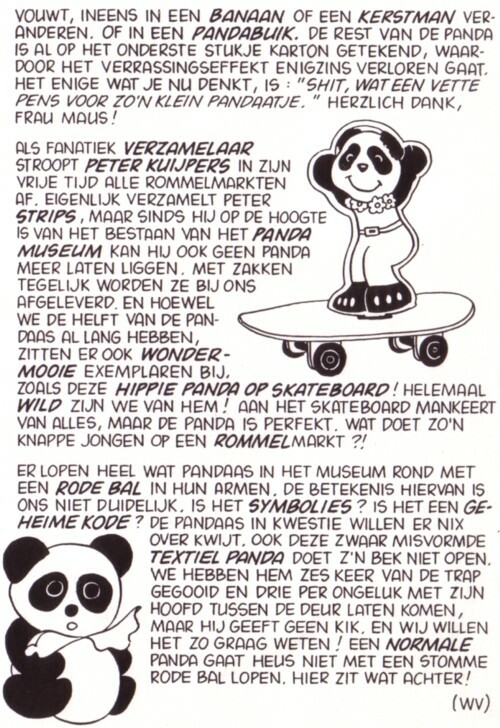 I was so stupid to start a fanzine about this stuff, called ”Bamboe” . I have made many fanzines, usually in editions between 1 and 25 copies. But Bamboe turned out to be different. 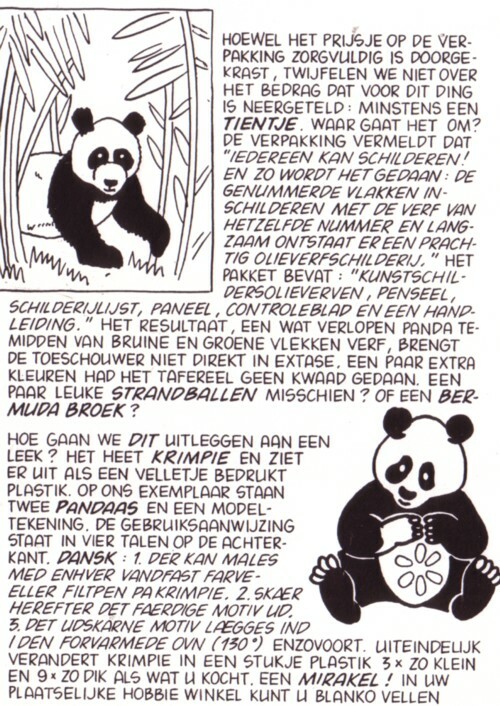 People began sending me artwork and lots of panda stuff, and at it’s highlight the edition was 50 copies. Because it was all for free and because I had to send it over the mail, it was getting a bit out of hand. 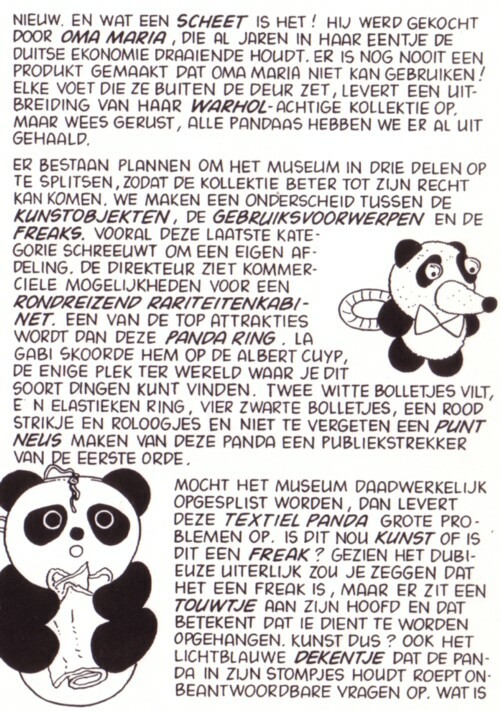 The idea that I was going to make a panda fanzine for the rest of my life was not very appealing, so one day, while making the 25th issue, I killed the zine. 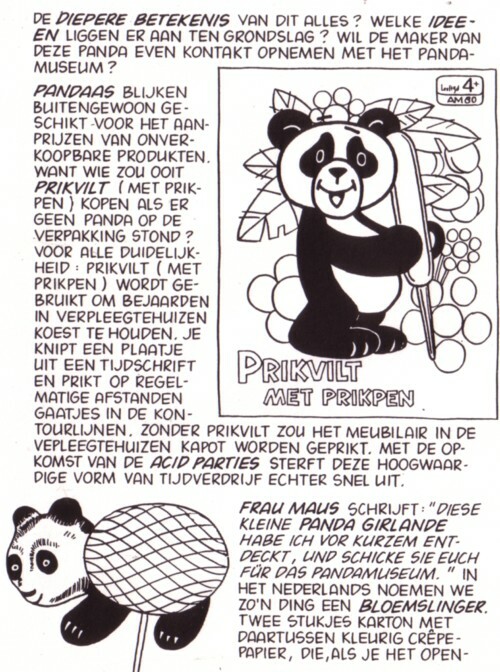 My love and I got rid of all the panda’s (which is a nice story, that I will tell later) and the 25th issue was never released. 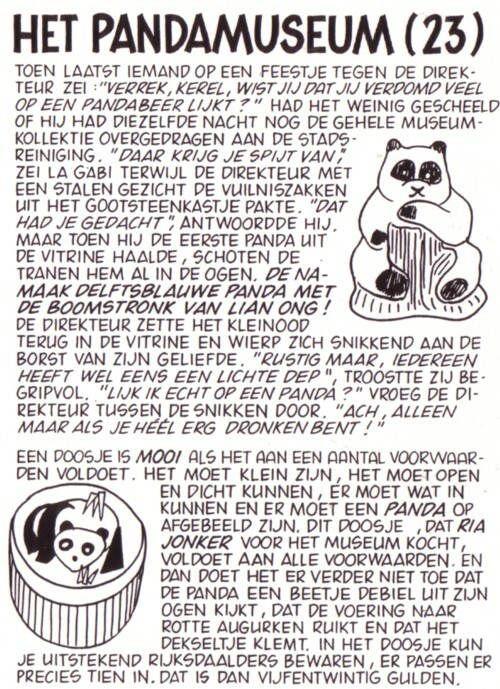 I just found it among a pile of old paper. I have written far worse things than this, but when I re-read it today I was not exactly proud about it. Trying to be funny is not the same as being funny!